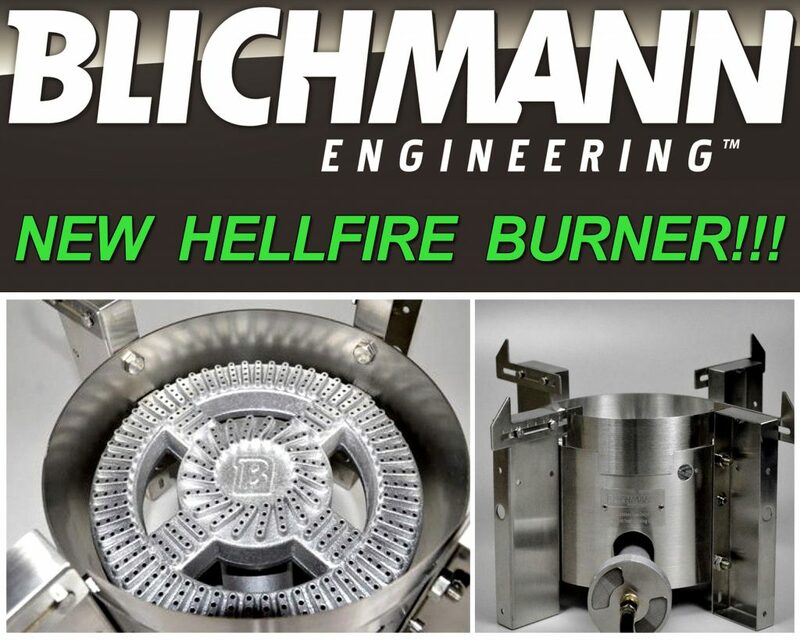 Product Description: The Blichmann Hellfire home brewing burner is the first innovation that I have seen in homebrew gas burners in several years. The Blichmann Hellfire burner is efficient, fast, versatile, dependable and beautiful! This is Blichmann’s newest burner is appropriately named HellFire because of the massive BTU’s that this home brewing burner is capable of putting out. Perhaps what I like best about this new Blichmann Hell Fire burner is its dual mode burner design that give a home brewer the option of running in an efficiency mode at 80,000 BTUs to maintain a rolling boil up to 20 gallons or in a high heat mode that will run at 140,000 BTUs which is perfect for getting that boil going in no time. Anything that will save me time in a brew session is valuable and there is a great deal of time wasted waiting for water to reach mash and boil temperature. The Blichmann HellFire burner also includes a heat shield to prevent the massive amount of heat from scorching your valve, thermometer and sight glass while directing it to your wort. The HellFire stand burner bolts right up to our TopTier Modular Brewing Stand if you want to integrate it with your other Blichmann home brewing equipment or can be used independently. Lastly, the stainless steel construction of this burner is a big plus. Stainless steel is the ultimate home brewing material, especially when it comes to burners and kettles. Metals like aluminum, tin and galvanized steel can put out toxic fumes, but stainless steel is fume free and will last a lifetime if cared for! Here are some of the features on this new Blichmann Hellfire Home Brewing burner.